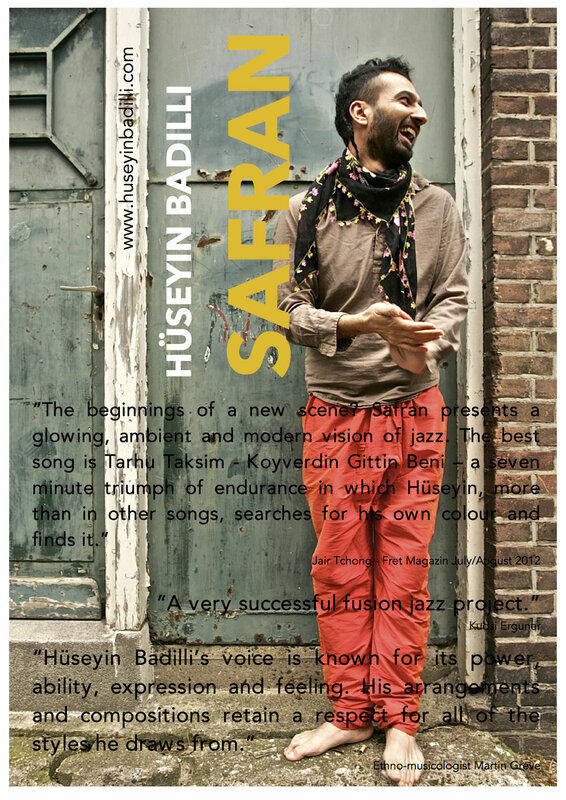 Safran, Anthony Hüseyin's first music debut was launched in Amsterdam’s legendary concert venue Paradiso. The release was followed by an extensive international tour throughout Europe and Turkey. Bimhuis, Lantaren Venster, and Bird (Dutch Jazz Competition) were some of the highlights of the release tour. The album consists of Anthony Hüseyin's compositions which are the outcome of his Master studies on fusing his roots (Turkish music) with jazz elements.